Abortion. Gay rights. Divorce. Christians normally categorize these issues as moral ones. We believe we are called by the truth of scripture to take a stand on them. And, if the power is vested in us as it is through democracy, we are also called to influence our governments to honor such moral principles. 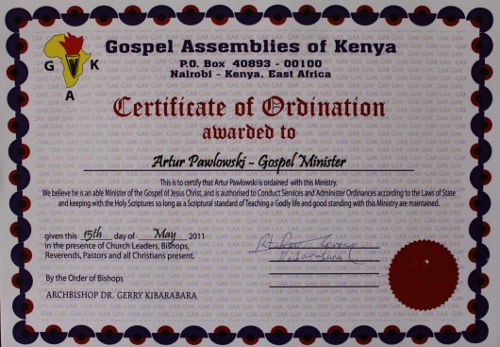 So thought pastor Artur Pawlowski of Kings Glory Fellowship in Calgary. Revenue Canada disagreed. They ruled that abortion, gay rights, and divorce are political debates. The charitable status of a church can be revoked if its employees, including its pastors, spend significant time or resources publicly advocating a position on these issues. For the most part, churches and other religious institutions in Canada enjoy charitable status. This means that donors can write off their donations as charitable contributions, receiving back 29% of the donation in federal tax credits and more (almost 15% in BC) in provincial credits. But this status comes with strings attached. A charitable organization cannot spend more than 10% of its resources on “political activity”. To date, this policy hasn’t been much of a problem for churches. Most of them do not earmark any of their resources for political activity. Those congregants who do want to get involved are able to form separate organizations dedicated to political action, to which contributions are not eligible for charitable tax write-offs. So what’s the problem? Especially when I’ve spoken in the past against churches engaging themselves directly in political activity. Pawlowski aside, there are very few problems in practice today. But there is a serious problem with the principle. Charitable organizations are subservient to civil government, forbidden to use more than a small fraction of their resources to stand up for anything that is not the law of the land. This hobbles the resources of the church – the pastor and the building – to the accepted morality of the state on things such as abortion and gay rights. Indeed, this could become a speech freedom issue. If the law is taken to its further extent, pastors would have to avoid mentions of government policy in their sermons and pastoral work. Any characterization of abortion as some sort of crime can be seen as political. Ditto for any criticism of divorce law, of custody policy and of gay marriage. Really, any mention that the government contributes to societal or moral decay could constitute a political statement. I shudder at the thought of sermons being proofread by lawyers before delivery. When writing opinion pieces, I can afford to be an idealist. I can’t speculate on the costs of churches voluntary revoking their charitable status. But on principles, I would suggest that churches should ideally be completely separate from the civil government – no tax benefits, and no strings attached.